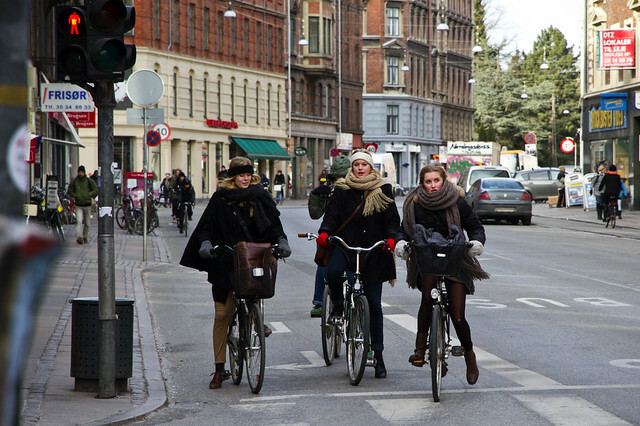 A cluster of Copenhageners move into motion just as the light changes on Nørrebrogade. Temperature was about -15 C today with the wind chill. Lovin' the classic Copenhagen scarves. Old wheelnews. Perfectly dressed for the occasion. Far more bikes than cars. That's how it should be. Those are the Real mcCoy! Even the cold can't stop these beautifull ladies! What is your coldest chic portrait?